The youthful suicide bomber who killed at least 22 concertgoers at the Manchester Arena in northern England in May 2017 was locally born. The alleged mastermind of the 2015 massacre at Paris’s Bataclan Theater was born in neighboring Belgium; so were several of his accomplices. And the suspects in the 2015 Charlie Hebdo newspaper shooting were born in France. The West has become familiar with the depravations of self-proclaimed jihadists in recent years. Many of the atrocities are carried out by foreigners. But particularly troubling for Europeans are attacks by the locally born progeny of Muslim immigrants. Acts of homegrown terrorism have helped fueled the rise of right-wing parties and calls to check the flow of refugees fleeing wars in the Middle East. In a new paper, researchers try to identify signs of victimization-by-proxy — whereby, in its most extreme form, Muslims who had never lived anywhere other than Europe become so enraged by the treatment of Muslims abroad that they contemplate violence. An academic study worth reading: “The Mistreatment of My People: Victimization by Proxy and Behavioral Intentions to Commit Violence Among Muslims in Denmark,” in Political Psychology, 2017. Study summary: Milan Obaidi of Uppsala University, in Sweden, and an international team of researchers conducted two surveys to compare the attitudes of Muslims born in Demark with foreign-born Danish Muslims who had lived in a conflict zone during a Western military operation. 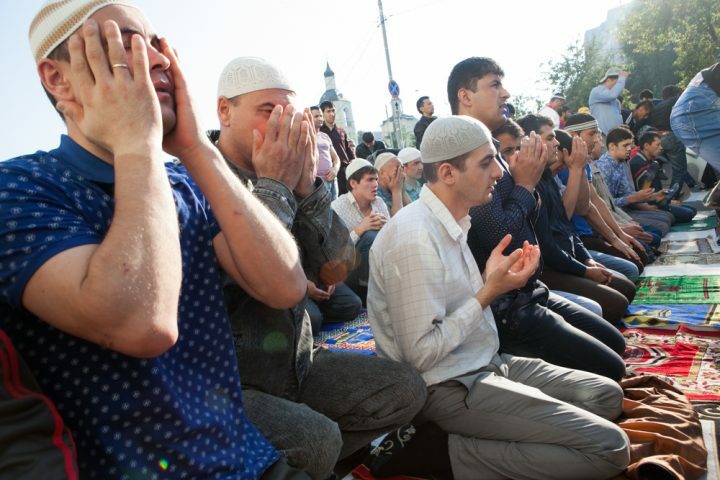 The researchers surveyed measures of Muslim identification, perceptions of Western military intervention in Muslim-majority countries, violent tendencies, nonviolent intentions to defend or support Islam and/or Muslims, and group anger. The first survey tested violent behavioral intentions and how they differ between Danish-born Muslims and Muslims who emigrated to Denmark. The second survey tested if the direct personal experience of Western military actions affects violent and non-violent mobilization, specifically by surveying Afghan Danes. A NATO coalition has been fighting in Afghanistan since 2001. Some of the Afghan Danes were born there. Others — such as their children and those who emigrated before 2001 — had no personal experience of the Western military invasion. Compared with Muslim immigrants, Denmark-born Muslims more strongly identified with Muslims around the world and scored higher on most predictors of violence. Anger predicts support for violence. The Denmark-born Muslims were angrier about Western intervention in Afghanistan than were Afghanistan-born Muslim Danes. (The difference in anger in the first study was not statistically significant). The Global Terrorism Database at the University of Maryland purports to be a complete clearinghouse on terrorist attacks around the world since 1970. The project defines terrorism as “the threatened or actual use of illegal force and violence by a non-state actor to attain a political, economic, religious, or social goal through fear, coercion, or intimidation.” Some researchers have criticized the project for its methodology on suicide attacks. Researchers at Duke University’s Triangle Center on Terrorism and Homeland Security report regularly on Muslim-Americans involved in terrorism. The Triangle Center’s 2016 report said the threat was often exaggerated by politicians and noted that “the children of immigrants do not appear to be overrepresented among Muslim-Americans involved with violent extremism.” Instead, it finds American converts to Islam more likely to pursue violence. We have written on the globalization of Islamist violence and reviewed literature on the challenges of Muslim integration in France. This 2015 paper in Behavioral Science and Policy finds that discrimination of Muslim populations in Europe can lead to radicalization. This 2017 paper in Terrorism and Political Violence looks at passive support for terrorism, such as the belief that some terrorists have valid grievances. Citation: Obaidi, Milan; et al. “The Mistreatment of My People: Victimization by Proxy and Behavioral Intentions to Commit Violence Among Muslims in Denmark.” Political Psychology, 2017. DOI: 10.1111/pops.12435.